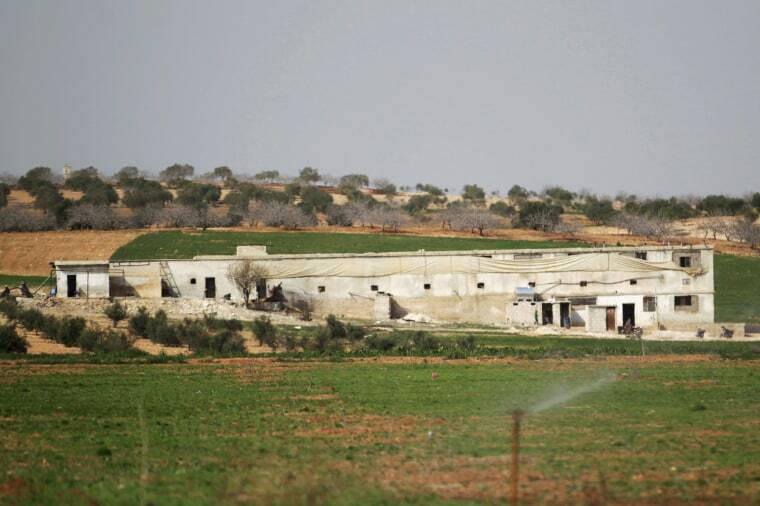 Residents in al-Tamanah, Idlib, Syria converted a poultry farm to a school, allowing children to continue their education. 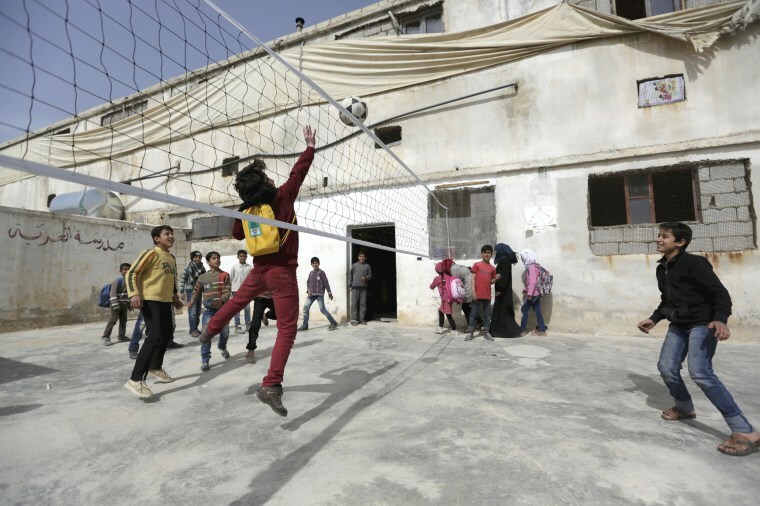 A general view of the Freedom School in al-Tamanah, Idlib, Syria on March 9, 2016. The Freedom School was converted from a poultry farm by the local residents more than a year ago. 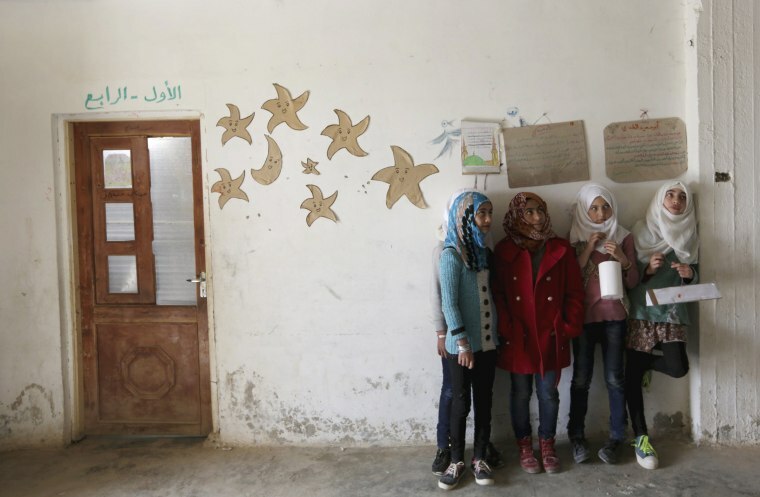 Students take a break from decorating the Freedom School in al-Tamanah, Idlib, Syria on March 9, 2016. A teacher rings a bell inside the Freedom School on March 9, 2016. 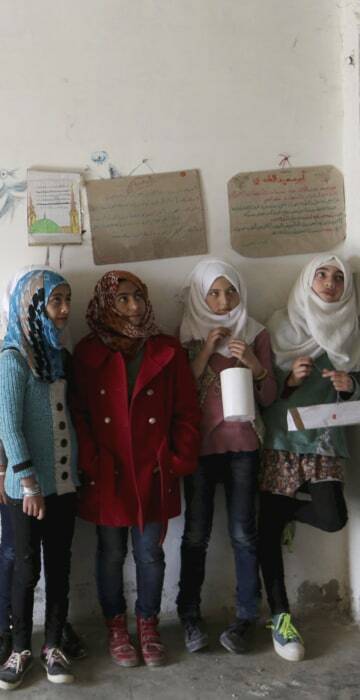 Students attend a class inside the Freedom School in al-Tamanah on March 9, 2016. A school girl holds a pencil during a class at the Freedom School on March 9, 2016. Students play volleyball during their break. 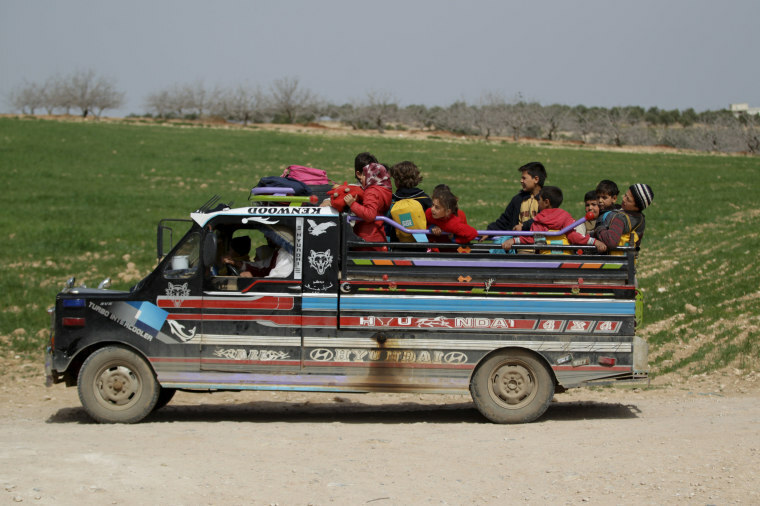 Students ride on a pick-up truck after leaving the school.